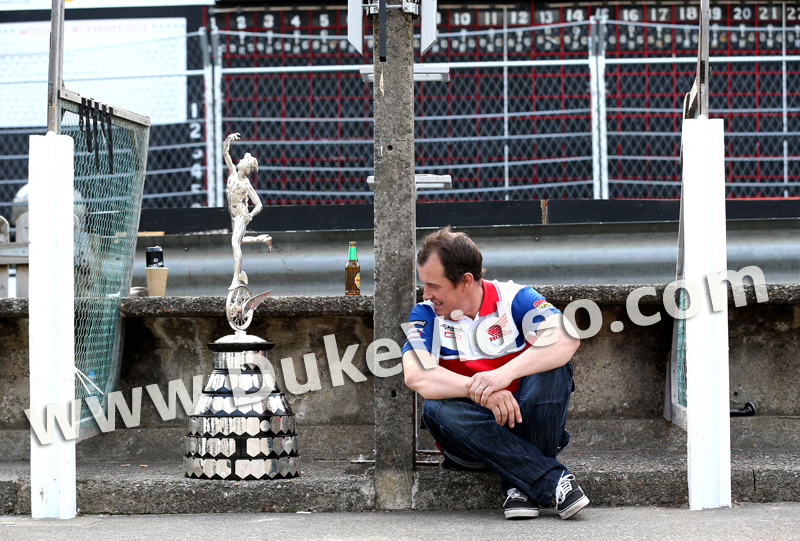 John McGuinness takes a well-earned breather after the hectic schedule of a busy TT fortnight to admire the Senior TT Trophy - which now carries his names seven times. Only the late, great Mike Hailwood could claim as many Senior victories. Will John exceed Mike the Bike's tally as he tries to draw level with Joey Dunlop for most victories overall? Only time will tell.